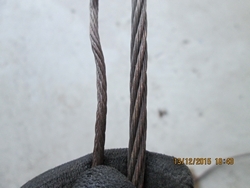 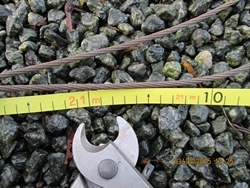 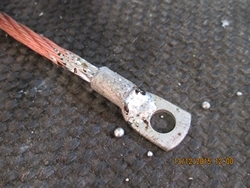 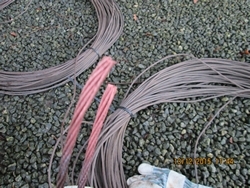 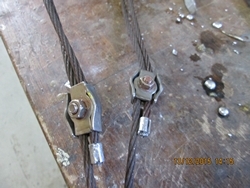 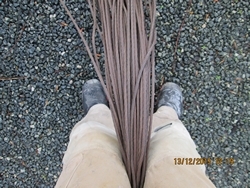 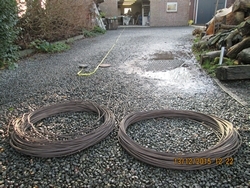 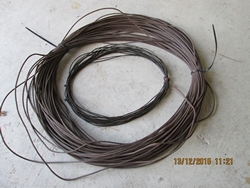 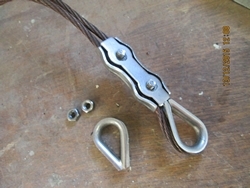 Since 1999 in use the 4mm (0,635'') very strong braided copper wire has broken. 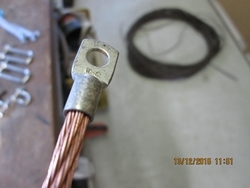 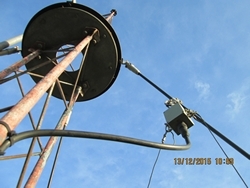 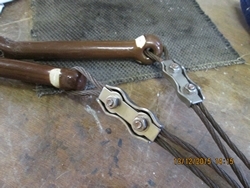 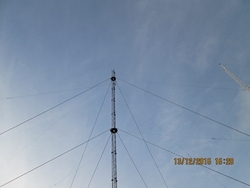 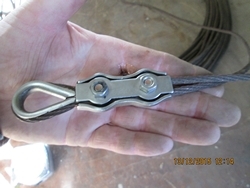 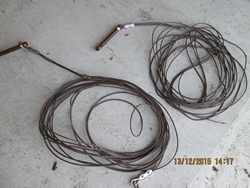 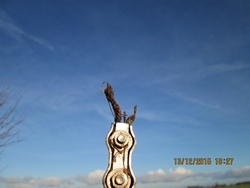 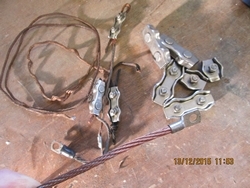 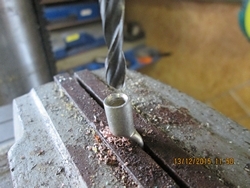 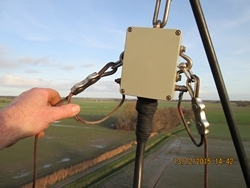 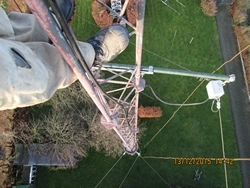 Removing the antenna and replace it with 6mm (0,423") braided copper bronze wire. 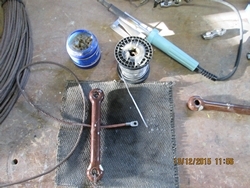 all in all, it takes about one day to do the replacement. 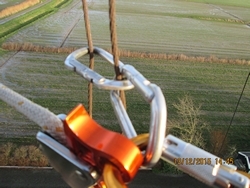 Take the wires down and connect the tension rope. 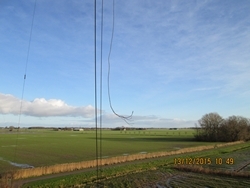 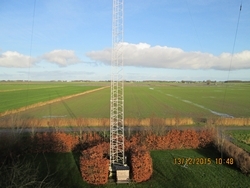 Due to the wind the wires can not be reached..